“I should have gone into something with Kinesiology. I always sort of had a gut feeling I wanted to do it but thought ‘what on earth would I do with that?’ Well, now I know what I would have done with it. I should have just followed my gut!’ – Katie M.
“I wish I would have better understood what careers are out there, how much they pay, and how long it takes to get to the top.” – Mike K.
“I wish that a guidance counselor wouldn’t have told me to settle on a major, and would have given me the wisdom to do research about other majors and explore more. Being a woman doesn’t mean you can’t do anything you want to do!” – Meghan K.
“Really truly think about your major.” – Lauren N.
“I would have gone to school to learn a trade like dental hygienist or X-ray technician as opposed to business school. Those jobs provide more schedule flexibility to working mothers!” – Lindsay R.
“Don’t make decisions based on anyone else in your life. College is the time to be selfish, and go out in the world to do whatever your heart desires!” – Erin M.
“The people you meet are sometimes more important than the books you read.” – Elizabeth C.
“Stay up late, get in all the giggles, and love your community hard. These are the people that will be with you for the long haul.” – Megan H.
“Get to know as many people as possible and friend them…Network!! A college education is great but can only get you so far…you have to know people, learn another language and skill set.” – Jen T.
“Bellas before Fellas.” – Amanda W.
“Actually go to class…” – Christopher S.
“It goes by so fast. Work hard and study for something that would give me a career.” – Carter P.
Welcome to the IvyLadder blog where you can find the latest tips and information on landing the right internship or job! We're glad you're here! 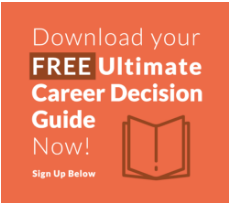 Sign up for regular updates on career planning and job search tips.